Custom packing tape with your branded with your name. Brings immediate noticeably that your shipment has arrived from your company. 1 Case = 36 rolls of 2 inch wide x 55 yards of custom printed tape with 1 color. 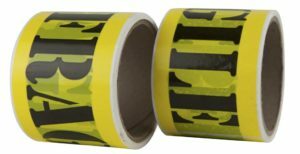 36 Rolls of Custom Printed Tape: $89.95 or $2.50 per roll. Artwork will repeat every 9.2 inches and finished on 3″ cores. 2 inch wide x 110 yards in length, 3 inch wide x 55 yards in length and 3 inch wide x 110 yards in length. Call Blue Line Labels for additional information or to place an order: 1-800-609-7079. Custom Barricade Tape – This is a no glue solution to sectioning off any size area. 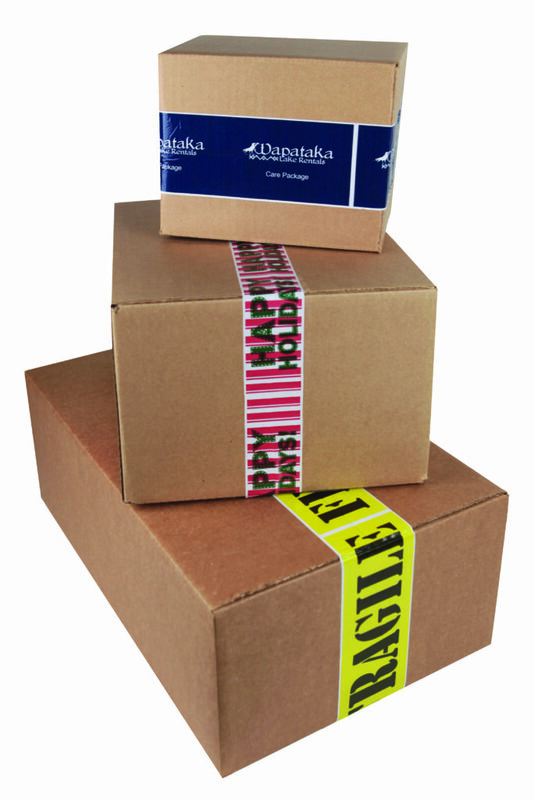 Custom barricade tape brands your company and keeps the area taped off. Tape Meaning: We call it tape for the wrapping around purpose but there is no adhesive. Special Introductory Price of $49.95 for 1 spool of 3 inch wide x 1000 feet long. Additional spools of barricade tape as low as $19.95 per spool. Blue Line Labels for additional information or to place an order: 1-800-609-7079.